I was a toddler during the Manley era….however I have been told many stories of his Vision for Jamaica & Our People. Fast Forward… Our Country continues to be stifled in the areas of Economic Development, Equity of Our Resources, Health & Wellness, Universal Education, etc..
Jamaica, Land We Love… We must do Better! In the spirit of our TRUE REVOLUTIONARIES.. It’s time to STAND UP & FIGHT THE ‘RIGHT’ REVOLUTION!!! 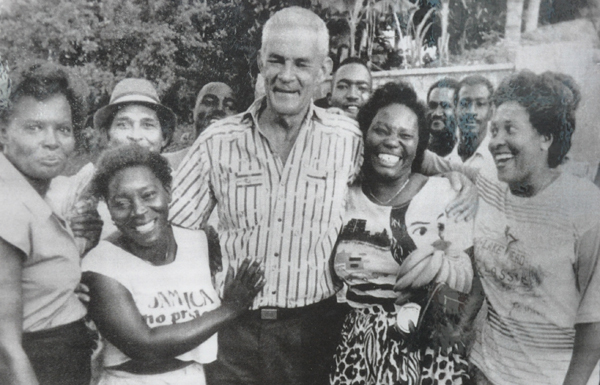 Nearly two decades after his death, Michael Manley, Jamaica’s late former prime minister, is still admired and revered by one of the Caribbean’s most influential former prime ministers, Owen Arthur of Barbados–Erica Virtue reports for Jamaica’s Gleaner. Arthur, who was a guest at a Gleaner Editors’ Forum last week, said he has paid careful attention to Manley’s thoughts and opinions in at least one book edited by late former University of the West Indies vice-chancellor, Professor Rex Nettleford. For Arthur, Manley changed Jamaica through advocacy, and it is his view that the region did not need a cabal of leaders, but those who could advocate.